Creating a new blog was never that easy in 90’s. There is no doubt that the change we have seen is such a dramatic change and now we can set up a new blog in few minutes. Even now, there are few complications that every beginner has to go through when creating a new blog. There are multiple factors that you will have to take care of before starting a new blog. Nowadays, if you need to start a blog, then you don’t have to be a tech geek who knows all about the Internet and how to create websites. If you are an entry level user, then you can simply start your own blog. We help you to know how to start a blog. However, you will require some professional help in shape of a detailed and well-optimized guide. If you want to succeed in creating an excellent blog, you will have to take a look at the guide that will walk you through all the process. Here, we will be sharing a detailed guide for beginners or entry level users who are looking to start a blog. 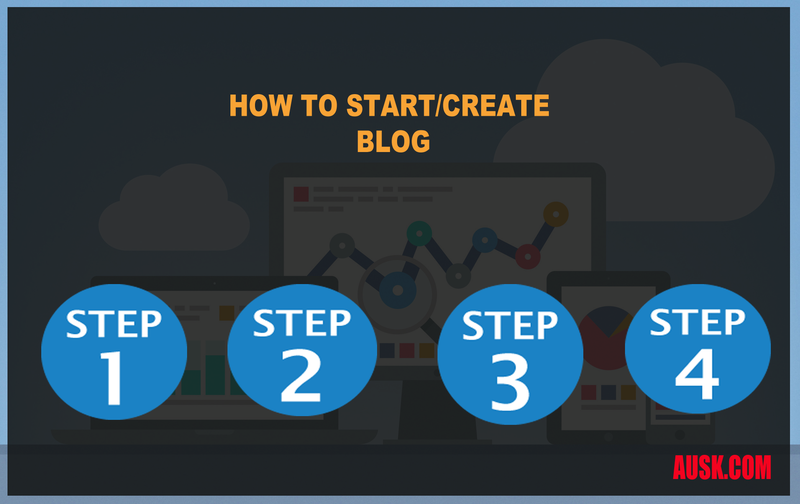 Let’s have a better look at the step by step guide to start a blog. The first phase that you will have to go through is to select the perfect domain name for your blog. It is one of the most important things that you should pay close attention to before proceeding to the next step. Creating a domain name can give you a hard time. First of all, you will hardly find the best and catchy domain names these days. The reason is that they are already taken. However, if you have a good budget, you can always buy the domain name of your choice. Before that, you will have to start working on your requirements. There could be many reasons why you want to start a blog. If you have a business and you want to start a blog as a business owner, then you will have to be sure that you are selecting the domain name that represents your brand. If you are creating a new startup and you want to start with a blog, then you should consider finding a good name for it. If you are a blogger, and you are creating your first blog, then you need a name for it which is memorable. You need to be sure that you are well aware of all the requirements you have in your mind before starting a blog. Whyis the brand name necessary? When you are starting a blog, you need to understand the importance of the brand name. If you have a business, then you can easily select the right brand name as your domain name. There are multiple benefits of selecting a domain name which is also your brand name. First of all, it will represent your business, and secondly, it will also help you to market your business properly. It will allow you to improve the reputation of your brand as well. However, there are few complications that you might face when you are selecting a domain name. It can be hard for you to find the right domain name in .com, and it is always better to get a .com domain name for your brand. If you have a good budget and you are ready to invest in the domain name matching your brand name, then you can check out few services like Brandbucket, and Brandroot. You will be able to find the available domain names that you can purchase. However, these domain names can be expensive but, if you have a good budget, then you will be able to find the perfect choice. If you have a small budget but, you are ready to invest in selecting the domain as a brand name, then you can also check out other marketplaces like Flippa, or Namejet. They will allow you to purchase good domain names in the auction. If you can invest, then it will be the best way to find affordable domain names for medium sized budgets. If you have no budget, then you can always buy a new domain name. However, when it comes to the selection of a new domain name, you need to consider few important factors before making a final decision. When you are selecting a new domain name, you can hop over to GoDaddy, which is the largest domain registrar in the world. All you have to do is to select the domain name available. Here is what you need to keep in mind when you are selecting a new domain name for your blog. The first factor you need to keep in mind before buying a new domain name is to be sure that you are selecting a short and easy to remember domain name. You need your visitors to remember you, and you can’t do it if you don’t have a great domain name. Your visitors will tend to forget the domain name if it is not attractive enough. Plus, if it is a long tail of words, then it is also not going to work for you. Make it short and make it sweet. If the domain name is short and simple, then your visitors will remember it, and it will be easy for them to return to your blog. If you have a specific keyword or niche that you are targeting, then make sure that you include the brand name in your domain name. It will help you find a better solution. If you are a business owner, and you have a business in thespecific area, then you can also target that specific area in the domain name. It will become your brand name, and it will help you optimize your website for the search engine. Searching for the domain name is actually the trickiest part of the whole process. The best way to proceed is to curate a list of the names that you have in mind. Check all the options, and if all of them are available, then you will have to start the shortlisting process. Make sure that you are short listing the names. Then, you will have to select the one which is the most suitable option for you. If you are running it on an experimental basis, then you are good with the one choice. However, if you are very serious about your business or a new blog, then you should consider protecting it and expanding it. You will have to buy various domain extensions if you are planning to extend it in the future. Especially, if you have a business, you should plan to expand your business by purchasing different domain extensions with the same brand name. However, if it is a blog that you are about to start, then you can stick with one .com extension. The final thing that you will have to do is to register your domain name. Once you have selected the perfect domain name for your blog, you can lock it down and proceed to checkout. Make sure that you are not waiting for some miracle to happen. If you like the idea and you are sure that the domain name you have selected is going to work for you, then you should immediately buy it and proceed to the other steps. For every blogger, it is necessary to choose a name of the blog that represents the content on it. Always choose the domain name that will represent your blog. If your blog is niche specific, then bring this specific element in it. It is the right way to proceed and select the domain name of your blog. Let’s move on to the next step of creating a blog. The next step you need to take is to choose the perfect CMS for your blog. CMS is a content management system that will help you manage your blog in an easy way. There are multiple options available when you are trying to find the right CMS for your new blog. However, you will have to choose the one that completes your requirements in the best way possible. WordPress is the most famous CMS for bloggers and also for different businesses. Before you go on to make a final call about select the right CMS, you will have to go through all the options available out there. The best way to proceed is to make a quick comparison online. Let’s have a better look at different options and how they are going to help you in creating a new blog. More than 50% of the websites on the internet are using WordPress. There is no doubt that it is by far, the best CMS around. WordPress allow you to create a website in few simple steps. There is no complexity involved in setting up a blog with WordPress. It is something that can be easily understood by the entry level user. If you are a beginner, and you are trying to find the best CMS that you can work with, then you should select WordPress. You can create any kind of website with the help of WordPress. The other option that you can look at is Joomla. If you are creating a blog with Joomla, then it is also easy to use CMS. It is also an open source platform, and it is also PHP-based and use MySQL database. You can easily create different kinds of websites using this CMS. Whether you are creating a small business website or an eCommerce store, you can use this CMS. There are multiple famous brands including MTV and Citibank who are also using Joomla as a CMS. Magento is another well-known CMS which is also an open source platform. However, it is best for creating eCommerce websites. There are some powerful features supported by Magento, and if you are running an online store, then it can be the best fit for the job. However, if you are looking to run a blog, then you should look at the other options. With Magento, you can easily create a perfect business website. Ford and Lenovo are major brands who are using Magento CMS for their websites. Then comes the Drupal which is also an open source CMS. However, it is not as good as WordPress and Joomla. And, if you are an entry level user, then you will face few complications. You can say that it is not as user-friendly as other available platforms. However, there are few famous brands who are using this CMS. Intel, Twitter, The White House, Warner Brothers, and NASA are using this Platform for their office websites. First of all, if you are about to start a blog, then you won’t find a better option than WordPress. We have curated few reasons why you should always choose WordPress over every other CMS when creating a new blog. Let’s go through few reasons to understand things in better way. Well, of course, WordPress is the easiest CMS out there, and it is perfect for the beginners. If you are creating your first blog, and you are not familiar with the WordPress, then you can get all the information by going through few well-curated guides. It has a simple dashboard that allows users to manage their content on their website. You can simply install WordPress and create a site in few minutes. More importantly, it has few amazing features that every blogger would love to have. With WordPress, everything is easy and simple. One of the most important factors to consider is SEO when you are creating a blog. And, with WordPress, SEO is quite simple. You can always use some advanced plugin like Yoast for the SEO of your website. 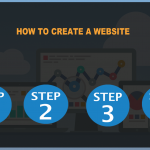 It allows users to do on-site SEO in few simple steps. On-site SEO optimization is not at all difficult with WordPress. You can easily optimize your pictures, tags, and text. By using WordPress, your website SEO won’t take long. You can simply add all the information and all the keywords and update it with a single click. One of the great perks of using WordPress is that you will be able to find unlimited designs for your website. In WordPress directory, you will find unlimited free themes that you can use on your website. If you are starting a simple blog, then you will have countless options to go through when selecting the perfect design for your blog. You can select the perfect theme for your WordPress blog by checking different designs. And, if you are interested in premium themes and designs, then you will have more options to explore. As it is the most famous CMS available these days, you can find unlimited options to extend functionality for your blog. Then comes the option of unlimited extensions. If you need a specific functionality, you will find the plugin in the WordPress repository for it. Do you need a social sharing functionality on your blog? Well, you will find unlimited plugins for it. 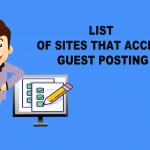 Whether you want to include Newsletter signup functionality or a mega menu, you will be able to find the best plugin available in the WordPress directory. You can say that the site on WordPress is built with the help of these plugins. You select the design as a theme, and then you can add functionality with the help of these amazing plugins. However, when you are selecting a specific plugin, make sure that you are going through a research process so you can choose the one which is compatible with the theme and other plugins you are using. Another reason why you should select WordPress for creating a new blog is that it has a great reputation. Well, there is no question about the reputation of this CMS as it is most widely used CMS in the world. Every other website that you will visit is based on this open source CMS. With WordPress, it will become easy for you to extend. If you have bigger plans for your blog, and you want to expand your business in future, then you should always start with WordPress. It has the ability toexpand your business in any way you like. So, these are the few reasons why you should always select WordPress as a CMS of your website. If you are a beginner, then WordPress has got you covered. After selecting the CMS and registering your blog’s domain name, you will have to move to the next step which is selecting the right web hosting for your blog. It is one of the most technical steps that you will go through when creating a blog. Also, it requires some extensive knowledge of web hosting. If you have never created a website before, then you need to understand that this is the hosting plan that you need to purchase to host your website somewhere on the server. You will have to purchase a space where you can host your website files. There are different types of web hosting plans available these days. And, to choose the best plan as a beginner, you will have to go through all the available options. By comparing every single hosting plan, you will be able to understand the perks of every type of hosting. Let’s have a better look at different types of hosting services. There are different types of web hosting, and you can always select the one according to your needs and requirements. Most of the time, people choose shared web hosting for a new blog. If you are just starting a blog and you don’t want your hosting bills to exceed your allocated budget, then shared hosting can be the best way to proceed. We will be reviewing different types of hosting plans for you so you can select the best one for yourself. Shared web hosting is the cheapest option that you can get. However, it has multiple disadvantages as well. If you are a beginner, then you can always select a shared hosting account that will help you save your resources. When you are using shared hosting, then it means you are sharing space with thousands of other users. A specific server will have multiple users. You can say that a single server will host thousands of site. And, all these sites are using the resources of that one single server. If there is malware in one site’s code, then it can affect all the sites. So, the shared web hosting can create some major issues. But, it is the cheapest option, and for a beginner, it can be the right choice especially if the website does not have huge traffic. Virtual Private Server (VPS) is one of the most popular options. VPS is also a shared environment but, it is different in a number of ways. A VPS server is split into many small servers. For example, if there are 10 users on the main server, then these 10 users will have their own space to work in. The main server is split into 10 small servers. It will give every user a specific disk space, and RAM. If one user has exceeded his limit, the site can crash for that specific user. However, there will be no effect on the other users on that main server. It can be costly as compared to the shared web hosting. A VPS will allot specific disk space and RAM to the number of users registered on one main server. Each user will have a private server withinthe main server. When it comes to the dedicated hosting, you will only need it if you have visitors more than 100k per month. Well, if you have visitors in such numbers, then it will be easy for you to afford the dedicated hosting plan. It can be the expensive option for you. However, you will be able to enjoy a lot of benefits. If you have a business site and you have a lot of visitors, then it can make things better for you. More importantly, if you have a business website and you are looking for increased security, then it is also the best fit. For getting dedicated hosting plans, you should also have extensive knowledge of server technology. Dedicated server means that you will have a complete server dedicated to your website. There is no doubt that it will increase the speed and response time and it will make your website a lot faster than any other plan. Cloud hosting is another great option for you, and it is more like VPS in nature. When it comes to cloud-based hosting, then it will use the resources of different servers in a network. Plus, when you are using cloud hosting, you can expect increased security for your website. They will give you a much higher chance to protect your website against DDoS attacks. If you want to come out of traditional systems, then it can be a perfect choice. More importantly, it also has increased speed and will allow you to protect your website against multiple threats. However, we won’t suggest cloud hosting if you are an entry level user or a beginner with a small blog. If you have gone through all the types of web hosting, then you will be able to choose the right option. However, there are few important factors that you will have to check before making a final decision. Once you have got all the basic knowledge of different types of web hosting, you will have to look for some specific features. Here, we will be listing few tips that will help you choose the best web hosting for your new blog. Before you go on to make a final call, you will have to check some reviews from the people who are already using that specific hosting plan. By reading some reviews, you will be able to know about the pros and cons of selecting a specific type of web hosting. If you are checking out some reviews online, then it can be your perfect recommendation for selecting the right plan. Another important factor that you will have to keep in mind before selecting the right web hosting plan for your blog is to check the reliability of the server. Make sure that the server has 99.9% uptime. Also, make sure that they are going to provide you 24/7 technical support. If the server has a great uptime score, then you don’t have to worry about the reliability. If you want to choose the perfect web hosting plan, then you should start making comparisons online. Check out different web hosting plans from different companies online. Curate a list of the companies and their available plans. Once you have a list, you will be able to compare all the packages and will be able to choose the best plan. You need to compare their signup and renewal fees so you can get a clear idea of the things. As a beginner, you need to choose the hosting service provider that will provide you an easy to use thehosting panel. Some of the companies have complex panels. Make sure that you are selecting the web hosting that has an easy to use thehosting panel. You should know that there are few server side restrictions from the server. If you have few specific needs, then make sure that there is no restriction from the server. Sometimes there are restrictions from the hosting side that will make things worse for you. Before you select a plan, make sure that you are asking all the right questions from the hosting service provider so you can clear things at your end. Let’s say that you have setup your website properly. You have a new domain name, you have bought the best web hosting for your blog, and you have also selected the perfect CMS for running your website. Once you are done with all those things, you will have to move to the next step which is the selection of adesign for your blog. If you have no idea how you can find the right design, then there are countless options available out there. First of all, if you have decided to run your blog on WordPress, then you will be able to find unlimited free designs and themes in the WordPress directory. You can go through them and decide. Selection of the design holds a lot of importance. If you want a perfect blog with the best and responsive design, then you can start your research online. Your blog should have a great attraction and make sure that your customers would love to visit it. If they are finding it difficult to navigate, then you will end up losing your customers. It will surely decrease the conversion rate. We will be sharing few expert tips on how you can select the perfect design for your blog. Let’s go through the important steps in detail so you can understand how you can choose the right design for your blog. How to choose the right WordPress theme for your new blog? If you are looking to find the perfect theme that includes all the functions you need in your website, then you need to go through some research. You can always select premium WordPress theme throughthedifferent marketplace. You can start with ThemeForest which is the biggest marketplace for premium WordPress themes, and you will be able to find countless options for your new blog. However, there are few important factors that you will have to go through before selecting the perfect WordPress theme. Here are few factors that you should keep in mind before making a final decision. The first thing you should keep in mind when selecting the best WordPress theme for your blog is that the design should be simple. Make sure it is attractive and simple enough,so users find it easy to navigate through different pages. If you are running a blog, then always select the perfect design that has simplicity. Plus, if you are selecting a premium theme, then make sure that you are selecting the one which is elegant and easy to use. Once of the most important things that you need to see in a premium theme is the functionality. If you are spending money, make sure that you are getting a theme that will work efficiently for you. You should understand that the responsiveness of the theme matters a lot. It will create some huge SEO issues if your website is not responsive. Make sure that the design you have selected is compatible with all devices and work perfectly well on tablets and smartphones. You can check the responsiveness of the theme by checking its demo. Another important thing that you need to consider is the cross browser compatibility. Make sure that you are checking the theme on different browsers and run it through different resolutions so you can be sure about the responsiveness and cross browser compatibility. Will it support multiple plugins? We have seen that it is one of the most annoying problems that the users usually face. If you have paid for the theme, and it is not working with one of your favorite plugins, then it can be very frustrating. Make sure that you are also checking the plugin compatibility before selecting a premium WordPress theme. You can directly ask questions from the author of the theme whether it is compatible with a specific plugin or not. Make sure that the theme will support most used plugins, so you don’t run into any issues later on. Also, most of the theme authors integrate different plugins with the theme. Make sure that you are also checking these options in detail before signing up for this. Would you be able to get support from theme author? Sometimes people find it hard to understand the theme and how it works. If you are facing issues with the theme installation, then most of the premium theme authors provide technical support. Make sure that you are purchasing the theme that has a technical support so you can get in touch with the theme author and resolve the issues you are facing. Usually people like the design but, they find the backend extremely complex. If you ever run into such a problem, make sure that the theme author will help you out in resolving the issues you are facing. How to tweak theme according to your requirements? If you have selected the theme but, you are looking to make some modifications and custom changes in the theme to suit your requirements, then there are few ways to do so. Most of the premium themes come with great functionality, and you will hardly need to tweak anything except for the colors and overall styling. You can get small styling issues fixed through author theme support. You will have to start looking for options how you can get it customized according to your requirements. Here is what you can do. The first way to do so is by tweaking the theme yourself. However, you can only do so if you have some technical knowledge. But, if you are not looking for any code changes, then you can always get help from the guides offered by the theme author. You can always contact theme support and ask the questions that will help you tweak your website according to your requirements. If there are few basic level guides to set up the theme properly and how to use page building elements, then it will be easy for you to tweak the theme. You can set it according to your requirements without going through any trouble. If you have some coding knowledge and you can make small changes, then it will be a plus point for you when you are styling and customizing your website. The next option that you can select is hiring a professional developer. You can always select a freelancer to work on your website and give you all the changes you need. It can be the perfect help that you are looking for. However, you will have to pay the freelancer to help set up your website properly. You can check out different platforms like Upwork and Fiverr to hire the right freelancer for the job. Make sure that you are hiring the right person who has extensive knowledge to work with premium WordPress themes. You can always get a recommendation from the friend that will help you find the right fit for the job. Once you have tweaked your blog, you will be able to start posting your content and get started with it. Make sure that you are going through every single detail that we have mentioned above so you can choose the right domain name, perfect hosting plan, and easy to use CMS.